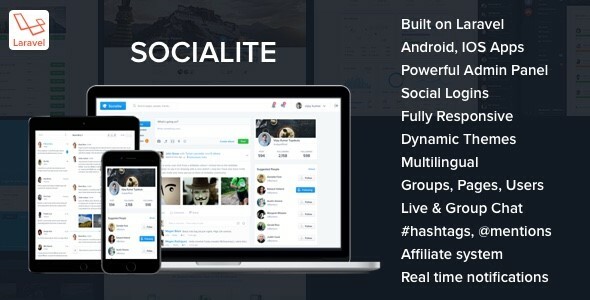 Socialite v1.2 - Laravel Social Network Script - CODELISTPRO | Free Premium Scripts, Plugins, Apps Source Code. Socialite is the FIRST Social networking script developed on Laravel with all enhanced features, Pixel perfect design and extremely user friendly. User interface and user experience are extra added features to Socialite. Months of research, passion and hard work had made the Socialite more flexible, feature-available and very user friendly!